Get short term loans ranging from $500 to $20,000 in as low as 30 mins to an hour, for customers with good or bad credit. 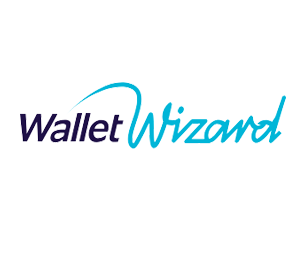 Apply online now & get quick cash! Costs and repayment amounts are supplied by the provider based on a $1,000 loan over a 6 month term. Individual providers may offer different loan amounts and terms. With a few clicks, their smart technology and clever loan engine assesses your online application and suggests a range of loan options. 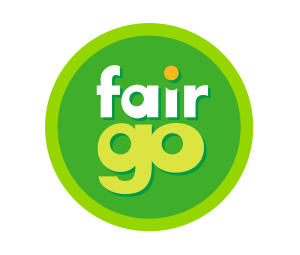 Fair Go Finance offers simple personal loans for customers with good & bad credit. Funds can be are available within 30 minutes of formal loan approval. * For new customers borrowing up to $2,000, the costs are 10% establishment fee and 2% monthly fee. For returning customers, you will be eligible for our Mates Rates Loyalty Reward benefits, which includes a 10% discount on your establishment fee. For new customers borrowing more than $2,000, the costs are 17.9% p.a. - 29.9% p.a. and establishment fee from $360 plus monthly admin fee of $5. A $10,000 loan over three years ($695 establishment fee, 17.9% and $5 per month monthly fee) has a Comparison rate of 23.47% and repayments of $179.14 per fortnight. Loan approval is subject to Fair Go Finance’s lending criteria. Warning: This comparison rate is true only for the example given and may not include all fees and charges. Different terms, fees and other loan amounts may result in a different comparison rate. ^Based on $1,000 loan over a 22 week loan term. Fortnightly repayment includes all fees and charges. Terms and Conditions apply. Fees, charges and interest are only payable if your loan is funded and will vary depending on the amount borrowed, the loan term and the type of loan you have applied for. Approval and funding times may vary with each application. For more info on our loan criteria visit: https://safefinancial.com.au/faq or call 1300 661 991. *Promotion$1,000 giveaway - view terms and conditions here. Quick and Simple loans from $500 - $5,000. Whether you need extra cash for unexpected bills or any other reason, our small loans may be the perfect solution. Apply online, if approved, your funds could be transferred overnight! And, we take $50* off your establishment fee. *$50 off establishment fee applied to Credit Simple members only, valid until 31/12/18. Loan approval is subject to Capfin Money's suitability assessment and lending criteria. All loans have an establishment fee and monthly fee or interest charge depending on the loan product. Interest rates for loans over $2,000 are 48% p.a. Loan Example: $2500 plus $400 establishment fee over a term of 1 year at a rate of 48% and total repayment of $3661.72 (Comparison Rate: 81.01%) This comparison rate is true only for the example given and may not include all fees and charges. Different terms, fees and other loan amounts may result in a different comparison rate. What's super fast, online and could hit your bank account within an hour of applying*? A Feratum Fast Cash Loans, that's what! 100% online, available 24/7and trusted by 300,000 Australians. Loans from $500 - $10,000. Use the Credit24 Calculator to see repayment options that work for you. Comparison rate: 55.72%* for a $2500 loan over 24 months. Terms: 6-36 months. Max APR: 48%*WARNING: This comparison rate is true only for the examples given and may not include all fees and charges. Different terms, fees or other loan amounts might result in a different comparison rate. It's completely online & paid in an hour! Our loan products are a hassle-free solution to your short-term borrowing needs. Easy Process. No Paperwork. Get Funded In One Hour! Terms, conditions & eligibility criteria apply. To be eligible you must be an Australian citizen, aged over 18, be employed and have a regular income stream. Australian Credit License number: 450305. Terms, conditions and eligibility criteria apply. *The Interest Rate for Secured Large Amount Loans is 21.24%. Maximum Comparison Rate is 48% p.a. The Interest Rate for Secured Medium Loans is 48%. Maximum Comparison Rate is 67.41% p.a. The maximum you will be charged for loans between $300 and $2000 is a flat 20% Establishment Fee and a flat 4% Monthly Fee. Worked examples can be found on our website: https://www.jacarandafinance.com.au/costs/ WARNING: This comparison rate is true only for the examples given and may not include all fees and charges. Different terms, fees or other loan amounts might result in a different comparison rate. Their smart technology intelligently assesses your financial situation, works out what you can comfortably repay and tailors a credit limit just for you. Speckle is a not for profit lender that offers online small cash loans with flexible repayment options - ranging from 3 to 12 months, pay early & as often as you like with no extra fees. See how much you could save by choosing Speckle. Terms, conditions, eligibility criteria and credit check assessment apply. To be eligible you must earn a minimum gross income of $30,000 annually which is not inclusive of government benefits. No more than 50% of your total income from government benefits. Not currently or previously bankrupt. Full terms and conditions available at speckle.com.au. No-nonsense personal loans from $300 - $5,000. ^Establishment fee: 20% of the principal loan amount, built into repayments. Monthly fee of 4% of principal amount, charged per month or part thereof, where there is an outstanding balance. The Interest Rate for Secured Large Amount Loans is 21.24% p.a. Maximum Comparison Rate is 48% p.a. The Interest Rate for Secured Medium Loans is 48% p.a. Maximum Comparison Rate is 67.41% p.a. The maximum you will be charged for loans between $300 and $2000 is a flat 20% Establishment Fee and a flat 4% Monthly Fee. Worked examples can be found on our website: https://www.niftypersonalloans.com.au/costs/ WARNING: This comparison rate is true only for the examples given and may not include all fees and charges. Different terms, fees or other loan amounts might result in a different comparison rate. Get a last minute loan when you really need it. Our LastMinuteLoan form is super-fast and the easiest around! Based on the information you provide we direct you to one of many lenders. LastMinuteLoan does not make loan or credit decisions, and is not a lender. LastMinuteLoan matches customers loan applications with lenders or partners in our database depending on the information provided. LastMinuteLoan may receive a referral fee from the lender or partner for matching customer details with that lender or partner. The completion of the application form does not guarantee approval of a loan. The loan amount will vary depending on the lender who accepts the application within our database and the requested loan amount may not be available to every customer. The time taken to transfer a cash advance loan may vary. This website does not directly endorse a particular product and service. Any information on this website should be taken as opinion only.